Prime Minister Nguyen Tan Dung on September 11 held bilateral meetings with the chancellor of Germany, the prime ministers of Japan, Luxembourg, Poland and the Netherlands, and the president of France during the sixth Asia-Europe Meeting (ASEM 6) in Helsinki. At these bilateral meetings, which took place in an open atmosphere of understanding and trust, ASEM leaders affirmed their support for Viet Nam in its economic development and international integration. At the meeting with German Chancellor Angela Merkel, Prime Minister Nguyen Tan Dung expressed thanks for the German Government's development aid for Viet Nam and said the two governments should devise practical measures to further boost economic cooperation. 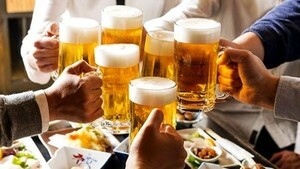 German Chancellor Merkel said she would encourage German enterprises to invest in Viet Nam and would create favorable conditions for Vietnamese nationals living and working permanently in Germany, a measure she described as a bridge to enhance relations between the two countries. She said the German government would help Viet Nam to construct an underground railway system in Ho Chi Minh City. The German government also supported Viet Nam's position in the current leather shoe dispute with the EU. The Prime Minister of Luxembourg Jean-Claude Juncker in his meeting with Prime Minister Nguyen Tan Dung stressed that his country would continue to prioritise aid for Viet Nam and proposed expanding the two countries' cooperation in the aviation area. Prime Minister Nguyen Tan Dung said that Viet Nam wanted to boost trade and investment with Luxembourg's companies on the basic of mutual interest. He said Luxembourg's advantages in high technology combined with Viet Nam's natural potential and competitive workforce could create long-term and effective partnerships in the future. At a separate meeting with the Japanese Prime Minister Junichiro Koizumi, the two PMs expressed mutual satisfaction with the excellent relationship existing between the two countries, and affirmed that they would continue their cooperation under of the motto "Act Together, Advance Together, Reliable Partners and Long-term Stability". PM Dung affirmed that Japan is not only Viet Nam's largest official development assistance (ODA) supplier but also its biggest partner, and Japanese investors have successfully operated in Viet Nam for many years. They agreed to promote official negotiation on bilateral economic cooperation so as to improve their relationship even further. PM Koizumi invited PM Dung to visit Japan at the earliest possible opportunity and received Dung's immediate acceptance. PM Dung previously met with the French President, Jacques Chirac, and the Prime Ministers of Poland and the Netherlands. 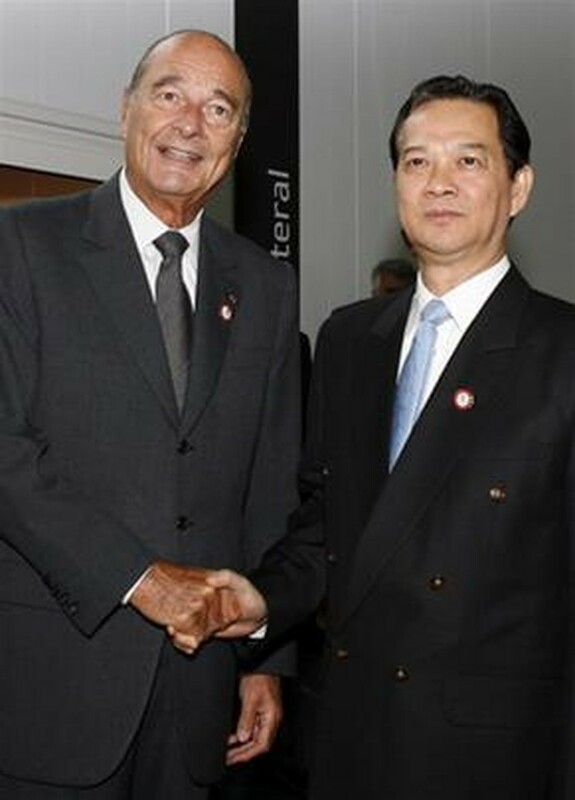 The French President Jacques Chirac spoke highly of the relationship between Viet Nam and France, as well as the establishment of a council to promote bilateral economic cooperation. President Chirac expressed his wish that Viet Nam would soon join the World Trade Organisation (WTO) and said he would support Viet Nam's candidacy for a non-permanent seat on the United Nations Security Council in the 2008-09 term. PM Dung affirmed that the two countries enjoyed a friendly, traditional, comprehensive, long-term and reliable relationship in the 21st century. He expressed hope that France would continue an increased level of ODA funding for Viet Nam in fields such as infrastructure, assistance for enterprises, agriculture and financial services. Meanwhile, at a meeting with his Dutch counterpart, Mr. Jan Peter Balkenende, PM Dung said the Netherlands has always been an important trade and investment partner of Viet Nam. He suggested the two governments should continue to co-operate and create favourable conditions for economic and trade exchanges between businesses. PM Balkenende urged Viet Nam to make good use of the ODA funding and pledged to continue its trade and education programmes with Viet Nam. The Prime Minister of Poland affirmed that the good political relationship between the two countries would provide a foundation for their future economic cooperation. The Government of Poland was currently considering granting a US$290 million credit to Viet Nam to assist shipbuilding programme between the two countries. In addition to PM Dung's bilateral meetings, the Deputy PM and Minister of Foreign Affairs Pham Gia Khiem also met with his counterparts from Hungary, the Netherlands and Finland, and EC commissioner for foreign affairs.